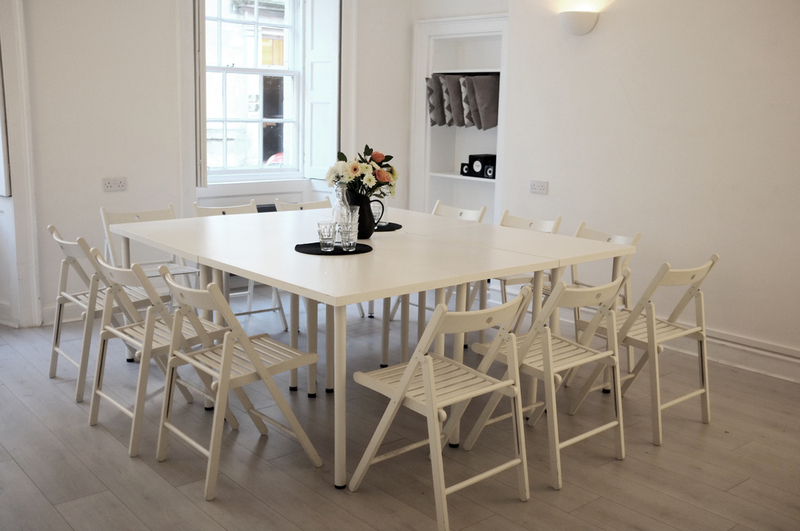 The Front Room is available to hire for workshops, as a photography studio space, or for your client meetings. Available 7 days a week, this room can be hired for a minimum of two hours up to a full week. It can comfortably seat 20 people and has plenty of space for visitors to stand in should you be hosting a launch, exhibition or pop up shop. The space comes with complimentary unlimited fibre broadband, use of a projector and access to a small kitchen and toilets. We can organise drinks and catering for you, alternatively we are near many excellent sandwich and coffee shops within a two minute walk from the building.